Jazz-inspired Latin-rocker Carlos Santana has never lacked for epic album-cover art. 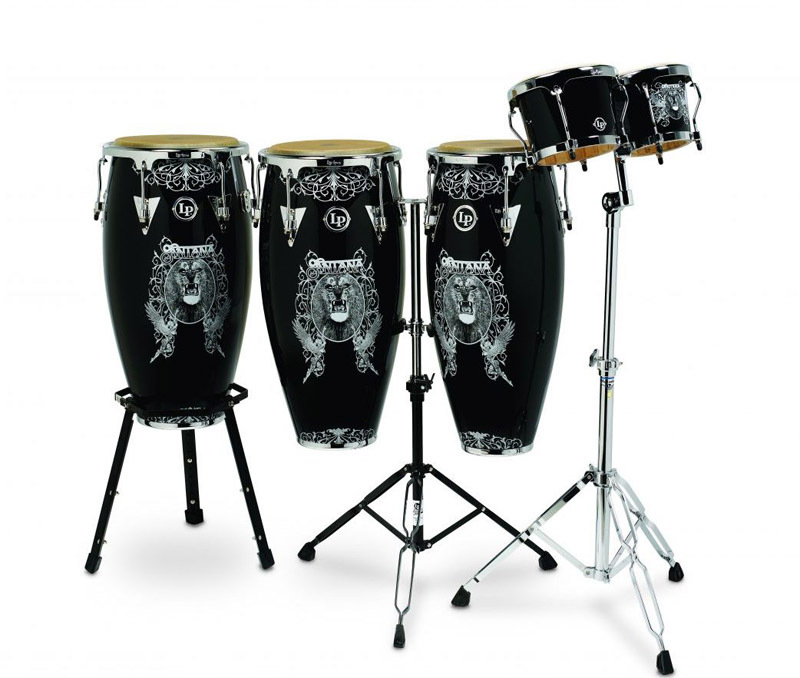 One of his band’s best images, the lion drawing that adorns 1969’s self-titled debut, now graces a special selection of percussion instruments in LP’s Aspire line. 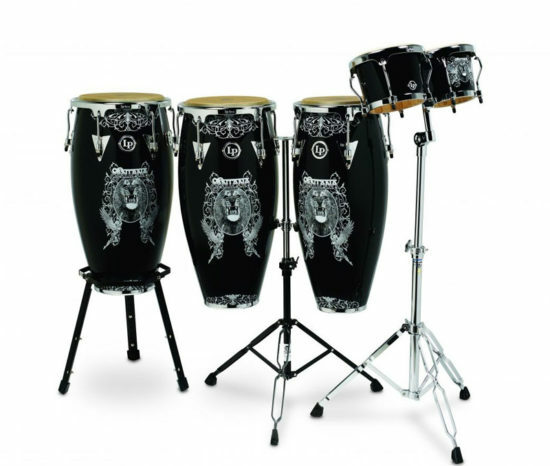 The series includes a pair of 10- and 11-inch congas ($649.99 online), a 12-inch tumba ($299.99), bongos ($159.99) and a timbale bell ($49.99). This adaptable, full-toned B-flat trumpet features a hand-hammered gold-brass bell with a French bead at the rim, plus a redesigned bore, a reconfigured leadpipe for improved accuracy and playability, a new approach to the third-valve slide stop, and top caps whose “fast thread” allows for rapid unscrewing of the valve. Available in clear-lacquer, silver-plated, vintage and brushed-gold-lacquer finishes, $2,850-$2,900 online. With so many current jazz and avant-garde improvisers showing a keen interest in sonic weirdness, expect to be seeing and hearing this new DigiTech stompbox often. 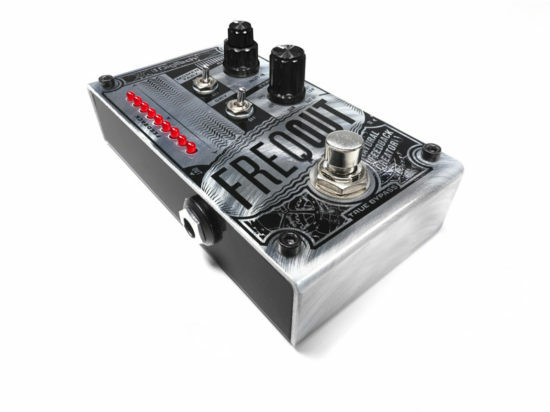 Essentially, it allows the user to create all manner of amp feedback without cranking the Marshall to 11—it doesn’t even require distortion—and can also shape unruly natural feedback. Downtown skronkers, your ship has come in. $179.95 online. The StringRay5 bass was the first fresh instrument model Music Man developed after being bought by Ernie Ball in the mid-1980s, and it proved that the brand’s new owners weren’t messing around. Since its introduction, the ax has become an extended-range go-to, renowned for its fluid playability and tonal versatility. This anniversary edition features a custom white ceramic-magnet humbucker and a special preamp/three-band EQ, plus a roasted maple neck and a tasty Trans Buttercream finish atop an ash body. $2,399 online. 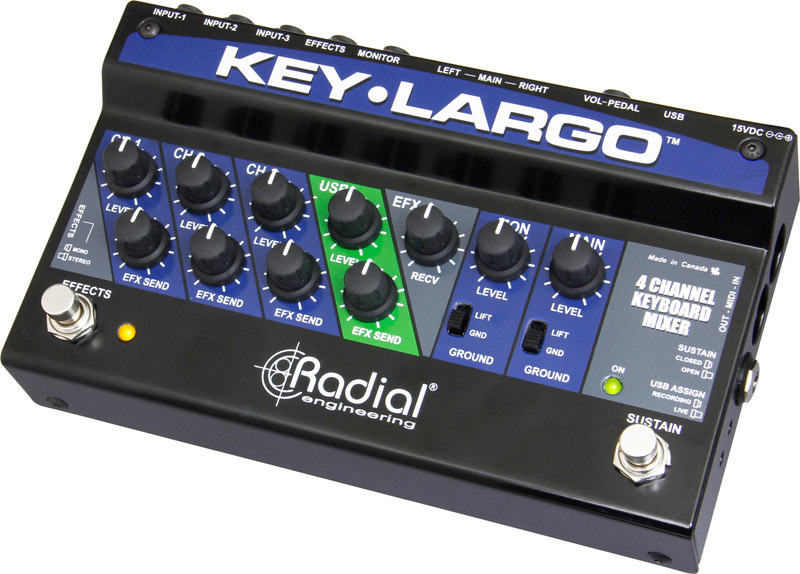 Boasting both the ease of use of a stompbox and the capabilities of a four-channel keyboard mixer, plus 14-gauge steel construction, Radial’s Key-Largo pedal is ready for the road. Among its many features are individual stage-monitor and PA outputs, three analog stereo inputs, a built-in sustain footswitch as well as an effects-loop footswitch, and a USB connection for laptop hookup. $379.99 online. Read Gearhead review column from July/August 2017 issue of JazzTimes.